The requirements for industrial trucks are as individual as the companies that use them. In particular, start-ups, companies in their growth phase or with varying operating times for industrial trucks are looking for opportunities to meet their specific requirements both reliably and economically. 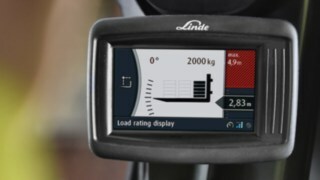 Linde Approved Used Trucks are a high-quality and cost-effective alternative. The trucks are also a logical addition for companies with larger fleets of forklifts, if the aim is to provide an appropriate mix of new equipment and approved used trucks to meet various requirements and applications. 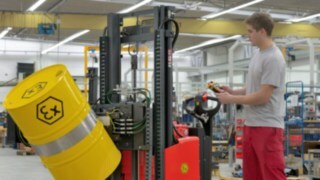 Linde Material Handling has developed a high-quality, reliable solution for these requirements. 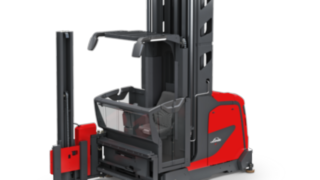 For this purpose, used forklifts from Linde undergo a standardized refurbishment process. 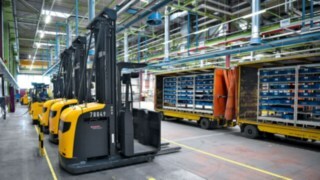 This ensures that the forklifts meet the necessary quality standard for the requirements and areas of application in question. The industrial trucks in the 'Approved Trucks' program are essentially selected returns from Linde's own short term and long term rental fleets. 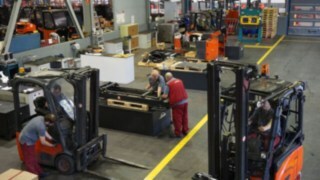 These forklifts were regularly serviced by Linde service technicians during their initial use. 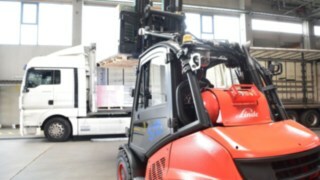 The seamless truck and service history and careful inspection when the forklift is returned mean that Linde only selects the very best equipment for the 'Approved Trucks' program. This equipment is then refurbished based on one of the three reconditioning standards, PLUS, SUPER, or ULTRA, and labeled with the 'Approved by Linde' seal of quality. This quality seal is an international standard, which guarantees that the approved used forklifts supplied by Linde always comply with the same high performance requirements. This ensures that buyers can always rely on the same high product quality wherever they buy an Approved Truck from Linde. 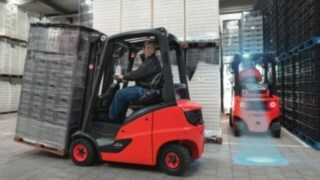 As a rule, approved used forklifts are selected returns from Linde's own short term and long term rental fleets, which have been regularly serviced by Linde technicians during their previous period of use. This ensures a transparent and seamless service and truck history. The technician now consults with the responsible Head of the Used Equipment department to decide whether the equipment in question is suitable for the 'Approved Trucks' program. If so, all mechanical and electrical components, and all safety parts in particular, are carefully checked and replaced with Linde original spare parts where necessary. A first-class outer appearance is the finishing touch in the refurbishment process, ensuring careful handling by future users. That's why forklifts receive a completely new paint job and new original Linde labels where this is required. Minor signs of wear and tear are professionally repaired and re-painted in the original color. The last step is a comprehensive final inspection and acceptance. Linde provides the signed acceptance certificate and a safety certificate with every industrial truck as verification. Only trucks that have successfully passed through the inspection and refurbishment process receive the 'Approved by Linde' seal of quality upon completion of the refurbishment. 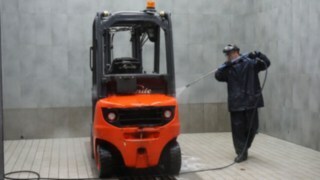 This visibly distinguishes them from used forklifts that have not passed through the process. 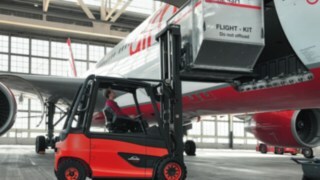 Linde provides approved used forklifts in the three refurbishment standards of Linde PLUS, SUPER and ULTRA. The main differences between them are the level of refurbishment and the warranty period. This means that you as the customer can choose the right truck for your individual operating conditions and requirements. 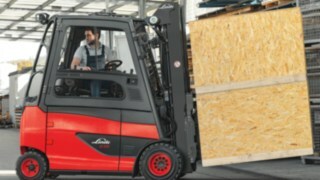 Linde PLUS forklifts are ideal for applications with a lower workload. 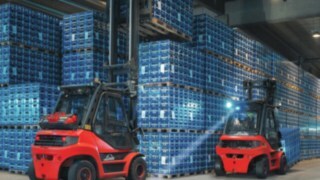 The Linde SUPER category is generally suitable for medium workloads. Linde ULTRA is the right category for demanding applications with a higher workload. However, the optimum refurbishment standard for your requirements depends on a number of factors. That's why your Linde sales partner is on hand to provide extensive advice to help you make the right choice. The following provides an initial overview of the details and the differences between Linde PLUS, SUPER and ULTRA. Careful, standardized refurbishment process for the approved forklifts, including parts replacement exclusively with new original Linde spare parts. 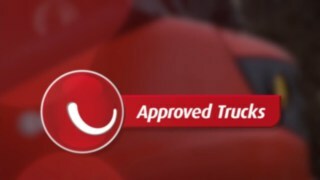 The entire Linde product range in 'Approved Trucks' quality: from hand pallet trucks to high-performance forklifts. Three standards to suit a broad range of individual customer requirements with regard to cost-effectiveness and operating conditions: PLUS, SUPER, and ULTRA. Various financing and service packages, such as long term rental with full-service contract. Quick and comprehensive service directly at the customer's location. Training opportunities for drivers or forklift license test. Test drive possible at any time. The wide selection of approved forklifts within the Linde network ensures that local partners always find the right truck for a customer that is tailored to the specific application and the available budget.